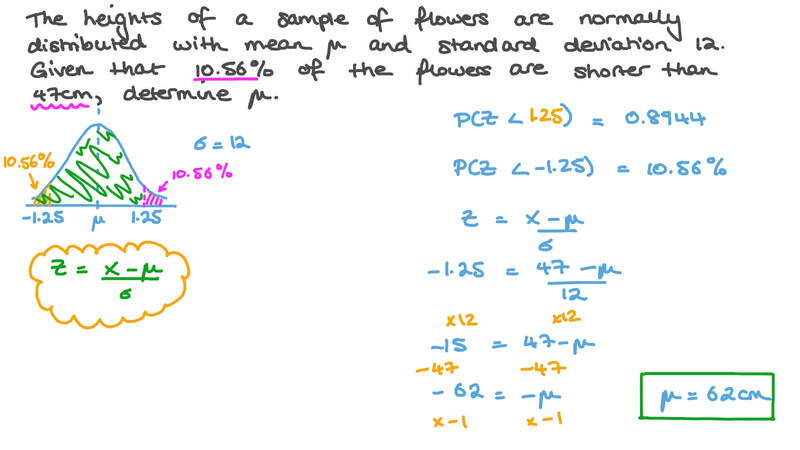 In this lesson, we will learn how to perform calculations on data that is normally distributed and to use these calculations to make predictions. 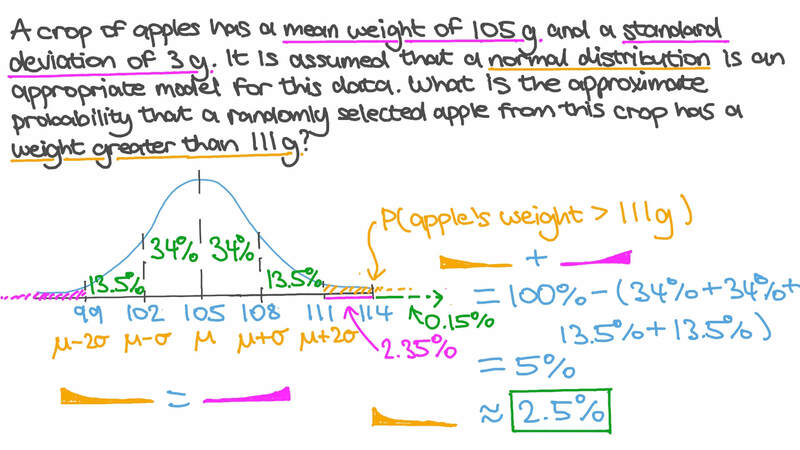 A crop of apples has a mean weight of 105 g and a standard deviation of 3 g. It is assumed that a normal distribution is an appropriate model for this data. What is the approximate probability that a randomly selected apple from the crop has a weight less than 105 g? 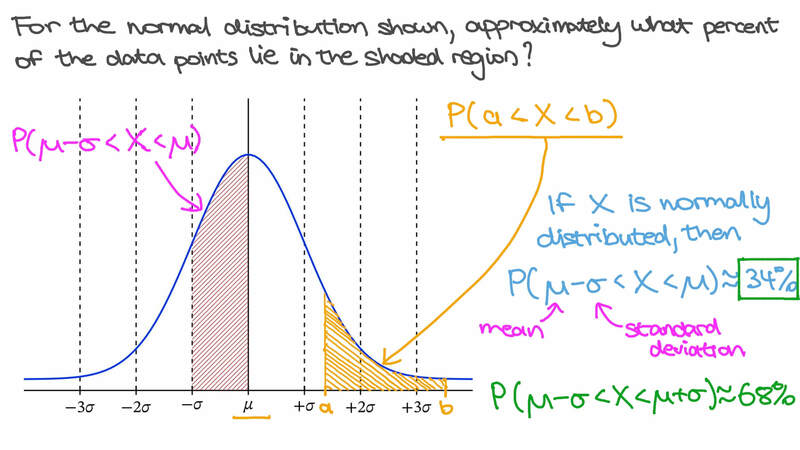 For the normal distribution shown, approximately what percentage of data points lie in the shaded region?